Miley Cyrus, Katy Perry, Garth Brooks, and Trisha Yearwood have been added as performers at the 2019 MusiCares Person of the Year tribute concert honoring Dolly Parton. Previously announced performers include Leon Bridges, Lauren Daigle, Vince Gill, Don Henley, Norah Jones, Shawn Mendes, Kacey Musgraves, Willie Nelson, Linda Perry, P!nk, Mark Ronson, Mavis Staples, and Chris Stapleton. More guest performers will be announced shortly. Parton will close out the evening’s performances, which will take place Feb. 8 during Grammy Week. The eight-time Grammy winner will be the first artist from the Nashville music community to be recognized by MusiCares. Additionally, Parton is being recognized for her philanthropic work with the Dollywood Foundation. Her organization has championed causes such as the Imagination Library, which has provided more than 100 million books to young children across the world. Proceeds from the annual Person of the Year tribute, which has honored musicians like Aretha Franklin and Bruce Springsteen in the past, provide support for MusiCares. The charity was founded by the Recording Academy to ensure music people have a place to turn in times of financial, medical, and personal need. The tribute ceremony will be held at the Los Angeles Convention Center, two nights prior to the 61st Grammy Awards, which will take place at L.A.’s Staples Center on Feb. 10, 2019. The telecast will be broadcast live on CBS at 8 p.m. ET/PT. Katy Perry has confirmed she will make a surprise appearance in a Final Fantasy game, as well as unveiling a new song to tie in nicely with it. On December 12 (Wednesday), Perry will release her new single ‘Immortal Flame’, which comes as a direct tie-in to her appearance in the mobile video game Final Fantasy Brave Exvius. Although not a permanent fixture, a likeness of Katy will appear in the game for a limited time only. 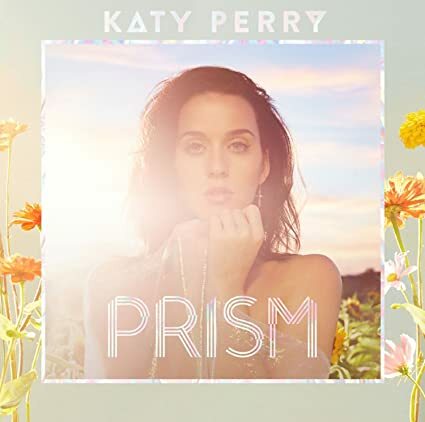 A brief trailer shows Katy performing a snippet of the song, before she eventually transforms into her all-powerful virtual visualisation.